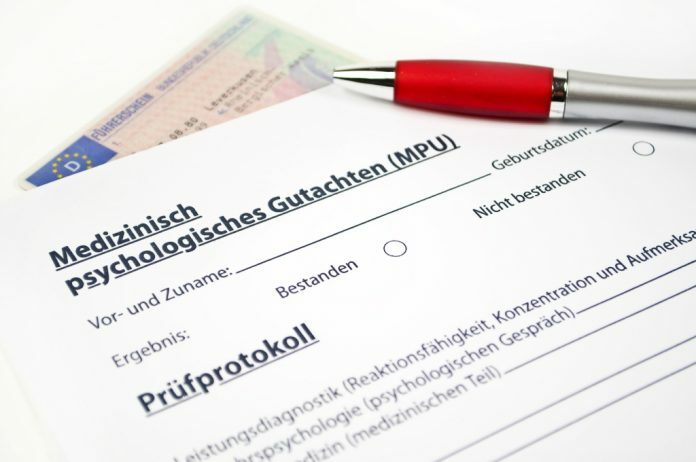 A medical-psychological assessment (short MPU) can be ordered to every person living in Germany. Even foreign people who just life in Germany for a short while (for example during their studies) need to follow this adjustment. At the beginning many of them do not know exactly what the MPU and for what they need to prepare. Officially the MPU is also called “appraisal for driving ability”. This name does show the sense and meaning of this assessment, it namely has to show if the mentioned person is psychologically able to drive securely in highway traffic. The MPU is ordered because of many different reasons, based on a problem occurred during the drive. For example one can get an order for a MPU because failing in driving lessons too often. Those who bring their driving license from their home country can lose it because of alcohol misuse while driving in Germany, careless driving or other contravention in highway traffic. When losing the driving license there is normally an order for a MPU as well. 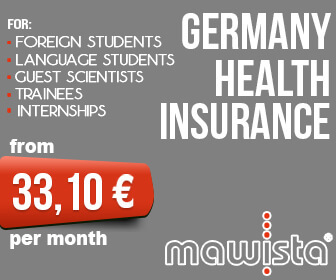 Those who receive an order for the MPU and want to stay in Germany for some more time should comply immediately. Applying for a new license in one’s home country and using it in Germany without positively finishing the MPU can cause serious problems with the law. The MPU by the way is not as horrible as it is described sometimes. With a good and solid preparation this assessment can be passed positively and one can gain back his or her driving license. But first one has to know what exactly happens at the MPU to be able to prepare in a good way. The MPU contains four different parts, including questionnaires, efficiency test, medical analysis and psychological analysis. The analysis starts with the questionnaire that asks about the person and the previous history that led to the order of the MPU. This questionnaire gives the basic data for the following tests. Next the experts check if one is able to react and act fast and right in highway traffic. To analyze this there are used concentration and reaction tests at the computer. The medical part includes tests about different body values as for example blood or urine tests to control alcohol or drug misuse. The last part is the one most people are afraid of. It consists of a one hour talk with a psychologist and should show why some things went wrong before and how the test person will react in future situations. These are the basics of the MPU. It is right that they might sound frightening at the first glimpse but it is a fact that the MPU was not made to eliminate all people from highway traffic. It should however give an objective and factual evaluation. Losing the driving license can happen for many different reasons and not all misdoings can be tracked back to general disablement of driving. The assessment can be passed positively with some preparation as said before. Firstly, it is very important to stay calm when getting the order. Fright, nervousness and maybe anger can be strong reasons why a positive ending can be damaged. Those who prepare professional can minimalize those feelings because of knowing what will happen during the tests. One should also take time for the preparations and not estimate the tests and time. If possible one should not take a date for the test during examination periods but search for a date when having free time during the studies. The preparation can be very different depending on the person and how one is feeling because of the upcoming tests. Professional MPU consulting is never wrong and working with qualified experts can help facing the difficult situation. One can also fight exam nerves or other insecurities with the professional trainers, a positive outcome can be reached this way. A good consulting for students is offered by MPU Web and contains four essential parts: fast, reliable, successful and cheap help. Especially for students it is important to have a contact person in the near surrounding to avoid expensive rides. A fair prize is another important reason for students who do have a limited budget. Getting an order for the MPU as foreign student one should stay calm and search for all the necessary information. It takes a bit of work but it is possible to pass the MPU. For no reason one should lose nerves and try to get away without passing the tests, this can cause even worse consequences. MPU-Kosten.org – How much does it cost “Medizinisch-Psychologische Untersuchung”?